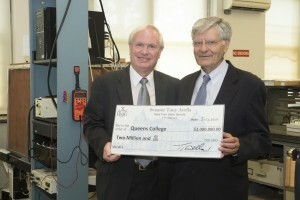 With a $2 million check in hand, state Senator Tony Avella poses with former interim President Evangelos Gizis in a lab of Remsen Hall. 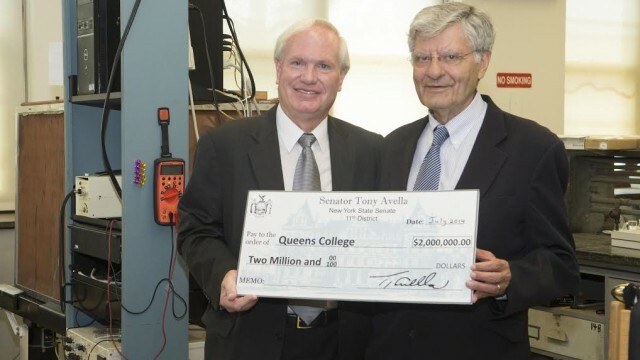 On July 18, State Senator Tony Avella presented Interim President Evangelos Gizis with a $2 million grant to enable renovations of chemistry labs in Remsen Hall. 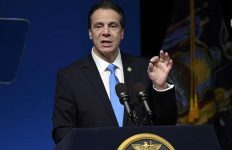 “Education is key to the future of our children and we, as legislators, need to ensure that every college, especially within the City University of New York, has the best resources to provide our children with the best possible education,” Avella said. Built in 1949, Remsen Hall, named after famous chemist Ida Remsen who began the first PhD program for chemistry in the United States, is home to many of Queens College’s science departments. It is the primary location for chemistry research labs as well as many physics labs. Many of these labs have not been renovated and look the same way they did over fifty years ago. The strong concrete and brick building, or the “above ground bomb shelter” as Robert Engel, interim dean of Mathematics and Natural Sciences referred to it, provides an environment for many of the experiments that are conducted within. There are many vibration sensitive experiments, such as those that use the nuclear magnetic resonance as well as many lasers for physics projects that are protected by the building. Discussions of renovating the labs originated back in 2010. 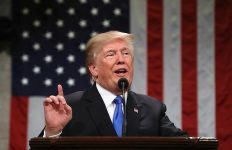 However, the lack of funds made it difficult. Senator Avella allocated, through a capital funding resolution, money intended for the lab renovations. Engel credited Jeffrey Rosenstock, the institutional development and major gifts officer of QC, for the renovation. 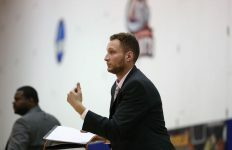 Rosenstock acted as the liaison between the chemistry department and the senate’s office and helped with the entire process. The latest addition to Remsen, designed specifically to ensure safe undergraduate teaching labs, was completed five years ago. Specifically built to hold 25 students, the large chemistry labs are still difficult to teach in, but now manageable because the instructor can see every student from the front of the room and provide better guidance. 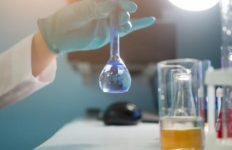 “Without a hood, my students have to work in the unhealthy environment and their ability to perform chemical synthesis and related procedures are limited,” Mirkin said. “[The] improved facilities will benefit all our projects in different ways,” Mirkin said.